14,970 valuable elements of nature on the Slovenian territory have been given the status of a valuable natural feature, 9,083 of which are subterranean caves. Interventions to and activities on valuable natural features may only be executed in the absence of other spatial or technical possibilities. 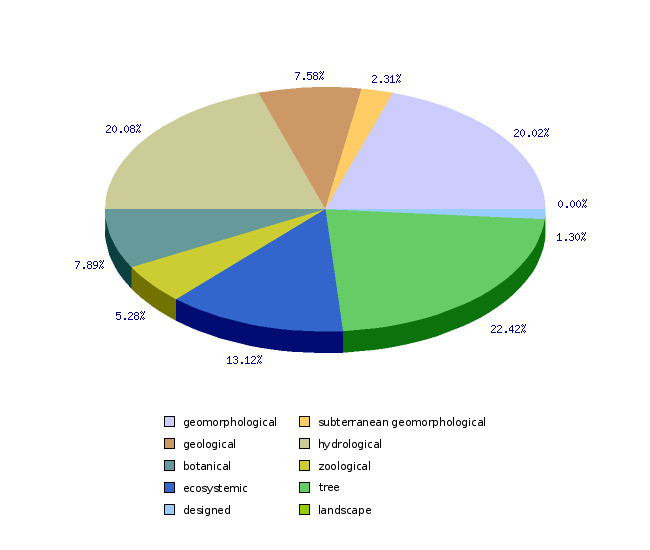 The Register of valuable natural features, Environmental Agency of the Republic of Slovenia, 2011. • to ensure ex-situ protection for those valuable natural features whose in-situ preservation is not possible.